Painful urination or urinary frequency can lead to severe infection of the urinary bladder and the kidney, if left unattended. Do not shrug off the burning feeling when you urinate and the intense urge to urinate more often than usual as these UTI symptoms may lead to medical complications. Urinary Tract Infection (UTI) is an infection that includes your bladder, kidneys and the tubes (ureters, urethra) that connect them. When germs get into this system, they can cause an infection. Most urinary tract infections are bladder infections. A bladder infection usually is not serious if it is treated right away. 80 to 90% of this infection is caused by Escherichia coli (E. coli), a type of bacteria commonly found in the gastrointestinal (GI) tract. 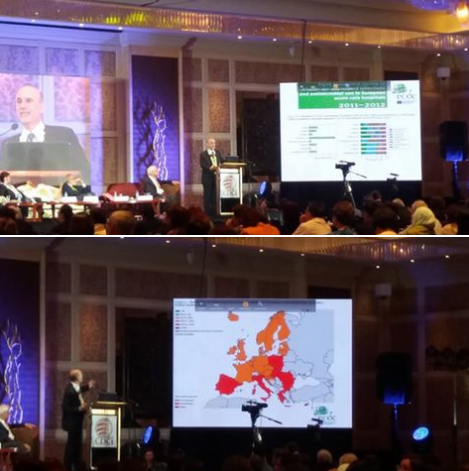 In a recent symposium organized The Cathay Drug Co Inc and Zambon Italy, four international and two local doctors presented the latest available guidelines in UTI management to local specialists. I learned that women suffer more from UTI than men. One in five women will experience UTI in her lifetime, and up to 80% of such cases will be repeated. UTIs are one of the most common medical complications of pregnancy. UTI may lead to high blood pressure in pregnant women, or lead to premature childbirth. Diabetes patients and those with weak immunity, people with stones in the urinary tract, children born with abnormal or narrow urinary tracts and patients using catheters are at greater risk of contracting UTI. A pregnant woman's short urethra and difficulty with hygiene due to the distended pregnant belly increases the frequency of UTI in pregnant females. Untreated bacteriuria in pregnancy either asymptomatic or symptomatic is associated with a 50% increase in the risk of low birth weight and a significant increase in the risk of premature delivery, pre-eclampsia, hypertension, anemia, and postpartum endometritis. Furthermore, the methicillin resistant strains of Staphylococci are found to be multidrug resistant as reported by studies. The emergence of drug resistance and particularly the Extended-spectrum beta-lactamase production by Escherichia coli and methicillin resistance in Staphylococci, limits the choice of antimicrobials. It further restricts the treatment options. There is a need to treat UTI in pregnant women as it outweighs the potential risks. Dr. Kurt Naber of the Technical University of Munich (Germany) presented international UTI treatment guidelines. 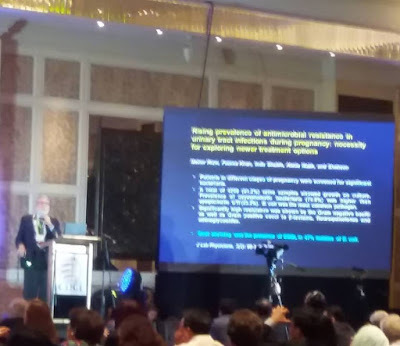 Dr. Ricardo Manalastas, Jr. of the University of the Philippines (UP) College of Medicine tackled UTI in relation to pregnancy and menopause. Dr. Edsel Salvana of the National Institutes of Health, UP Manila presented local UTI treatment guidelines. 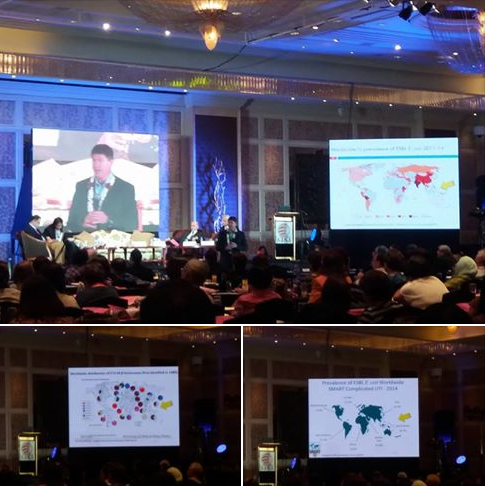 During the symposium, Dr. George Zhanel of the University of Manitoba (Canada) Faculty of Medicine discussed antibiotic resistance in relation to UTI. Dr. George Zhanel gave an in-depth discussion on managing Antibiotic-Resistant Infections. 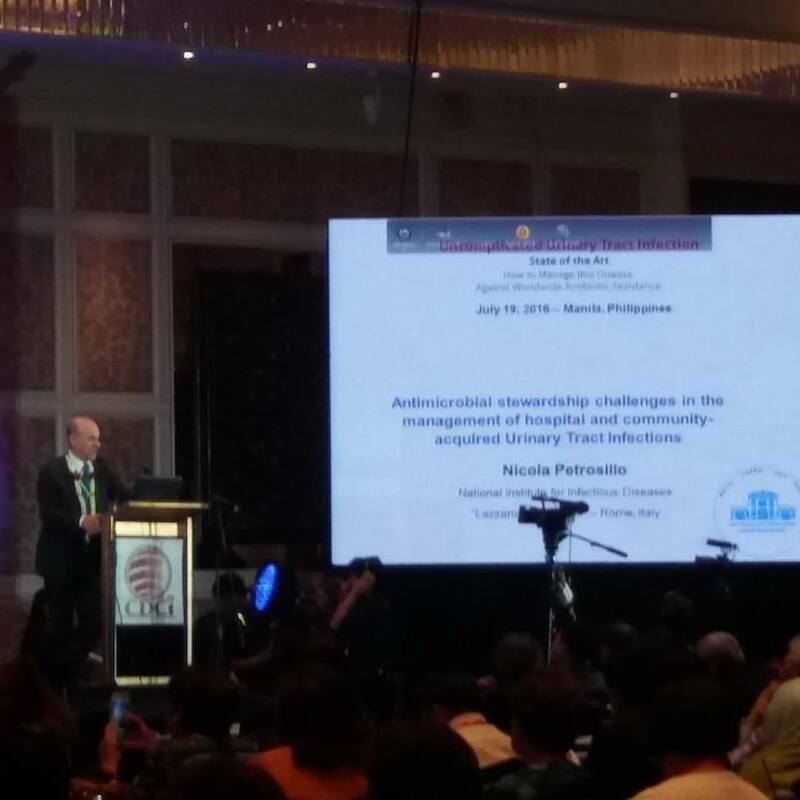 Dr. Andrea Novelli of the University Hospital Careggi (Italy) gave an overview of antibiotics therapy. Professor Nicola Petrosillo of Lazzaro Spallanzani (National Institute for Infectious Diseases, Italy) spoke about the stewardship of community and hospital-acquired infections. According to Dr. Nicola Petrosillo, most UTIs are monomicrobial. He talked about microbial stewardship challenges in the management of hospital and community-acquirred UTIs. 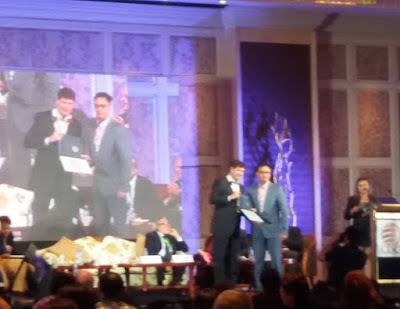 Introduced at the event was Monurol (Fosfomycin Trometamol), a unique and highly effective treatment positioned as a first line antibiotic treatment for UTI and acute cystitis (inflammation/infection of the urinary bladder). The novelty of Monurol is its single dose regimen that assures excellent patient compliance. MONUROL is indicated for the treatment of uncomplicated urinary tract infections (acute cystitis) in women due to susceptible strains of Escherichia coli and Enterococcus faecalis. A One time, One Dose regimen is unique to the drug as it maintain a very high urinary concentration for more than 72 hours after a single dose. This compares with common antibiotics that must be taken twice a day for seven to 14 days, depending on the severity of the infection. The medical experts cited Monurol as having extremely low global antibiotic resistance rates, assuring its effectiveness and the prompt relief of symptoms. ‎Fosfomycin‬ kills superbug ESBL E. Coli. Patients suffering from UTI, acute cystitis and infection of the kidney may ask their doctors about how they may benefit from Monurol. Go see your doctor for all UTI concerns and ask about Fosfomycin. A dose of Fosfomycin in Mercury Drug stores costs P 487.00.